RE: Problème jeux "NetPlay" SNES. RE: Scraper funktioniert nicht mehr? @Buhmann Hello, actually right now the internal recalbox scraper does not work. This will be resolved at the next update. RE: Image pc 64 bits impossible se sauver le menu en français , le son et les paramêtres wifi. Bonjour @leon65 , as tu essayer la version bêta ?? Si tu as toujours un soucis rejoins nous sur discord, plusieurs utilisateurs de version pc sont actif. RE: Netplay zum laufen gebracht? @Buhmann @joinski The netplay works more or less depending on your connection and other factors. I put you a link to a netplay guide and also a list of netplay compatible games. The list of compatible games is under construction. Do you use no-intro roms? If you want I can help you solve your problem on the recalbox discord. 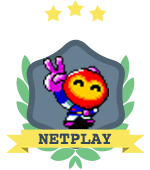 RE: Netplay - Was kann es und was bringt es?